This personality can inspire you a lot by saying just a few words. 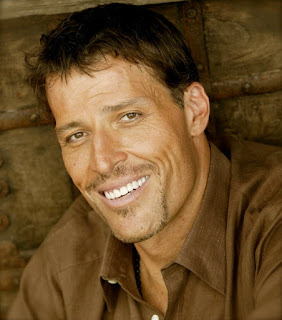 Tony Robbins is an American motivational speaker, personal finance instructor, life coach and self-help author. He became well-known from his popular infomercials and self-help books: Unlimited Power, Unleash the Power Within and Awaken the Giant Within. In 2007, he was named in Forbes magazine's "Celebrity 100" list. Forbes estimated that Robbins earned approximately $30 million USD in that year. If you're searching for a true personality to get motivated then your search end here. His saying goes viral in seconds on social media. I read some of his quotes and then thought to share them with my readers as they inspired me too. Below is a list of 50+ some most inspirational quotes of Tony Robbins. “People who fail focus on what they have to go through; people who succeed focus on what it will feel like at the end." So these were some of the hand picked best motivational quotes of Tony Robbins. Go through them and get inspired. If you have any other such quote then feel free to mention it in the comment section below.